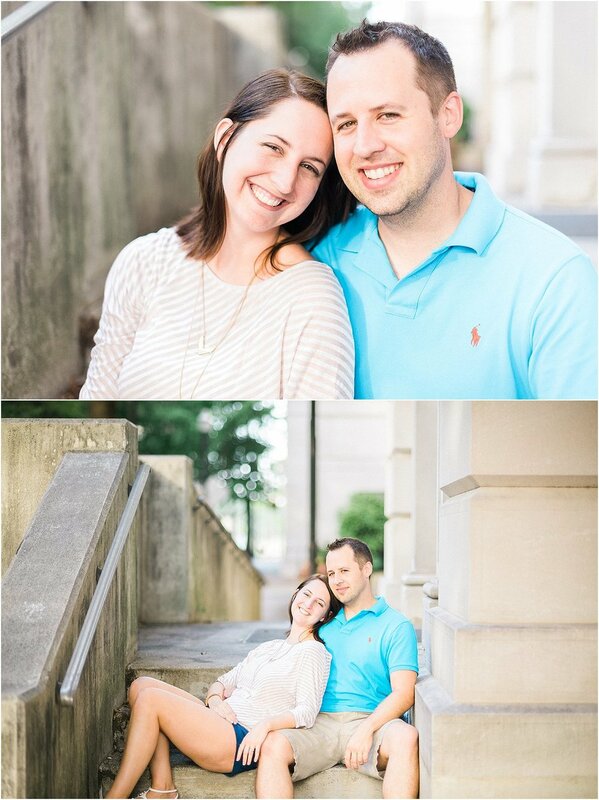 What an amazingly fun day we had exploring Knoxville with this awesome couple, Danielle and Justin. 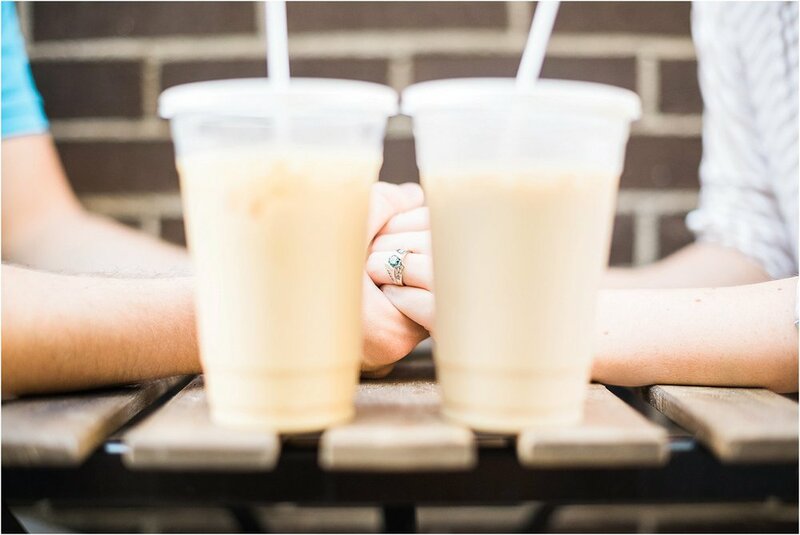 Their session started with iced coffee and sweets in Market Square from the best coffee shop in town, Coffee and Chocolate. Next, we took a stroll with the two through the park and over to Gay street in order to capture some sweet moments with the famous Tennessee Theatre sign. In keeping with this fun-loving duo's hobbies, the two brought cards from a favorite game as well as dice, which kept the shoot lighthearted and true to their natures. We loved how Danielle and Justin ran straight to the Kool Aid man and Mario Brothers graffiti in the alley, reinforcing how truly playful and comfortable they are (and check out that posing...love it!). 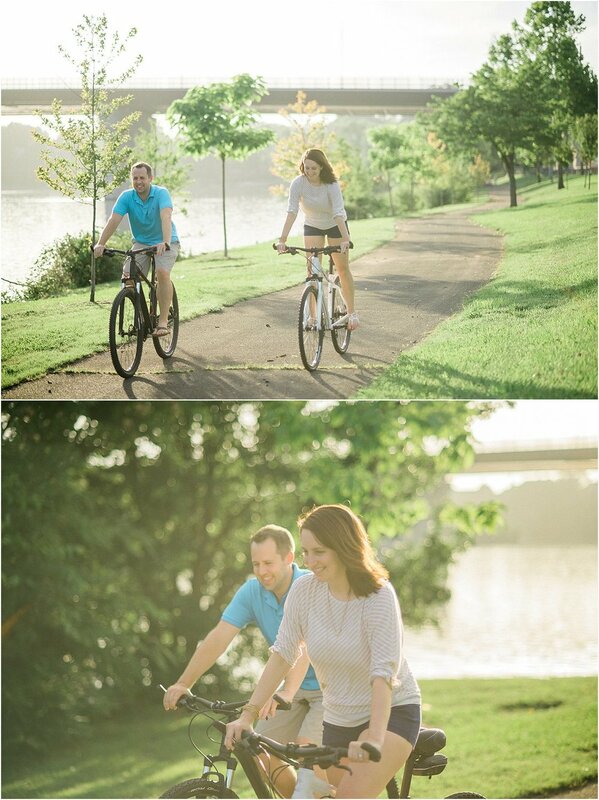 We also really wanted to grab some shots of the two riding their bikes on the greenway, since this is something they frequently do together. Our day ended at the UT Gardens for some more romantic photos of the couple and sincere moments of love and joy shared between the two. We can't wait for Danielle and Justin's unique wedding to be held on the Volunteer Princess next May, but for now, enjoy this sweet shoot in downtown Knoxville.